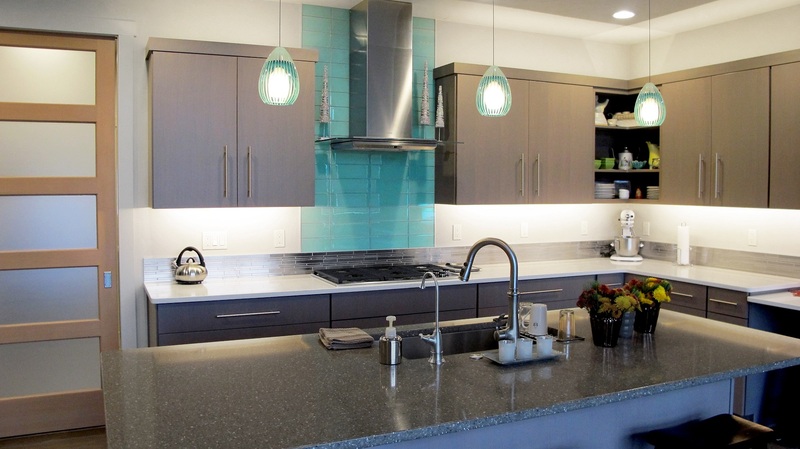 Designed for a new contemporary generation, this kitchen features a mix of stainless steel, quartz and glass with medium toned grey washed cabinets. The 6″ stainless steel metal backsplash spans the entire perimeter of the kitchen with a random linear layout of mosaic tile. 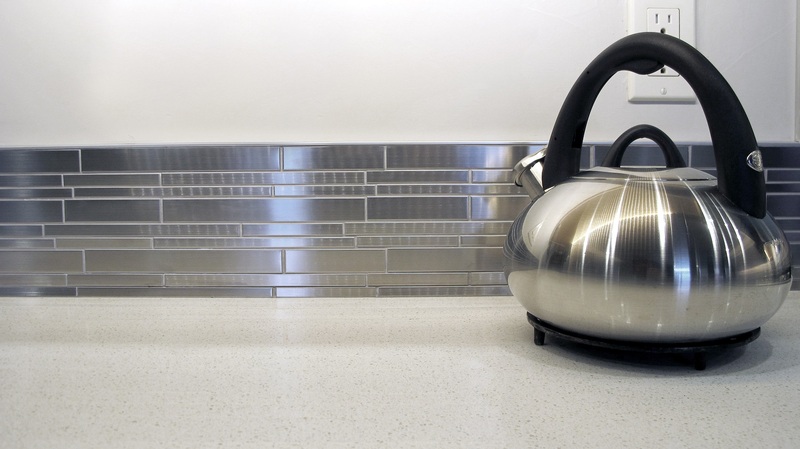 Behind the gas cook-top sits 4×12 glass field tile by Glazzio TIles. 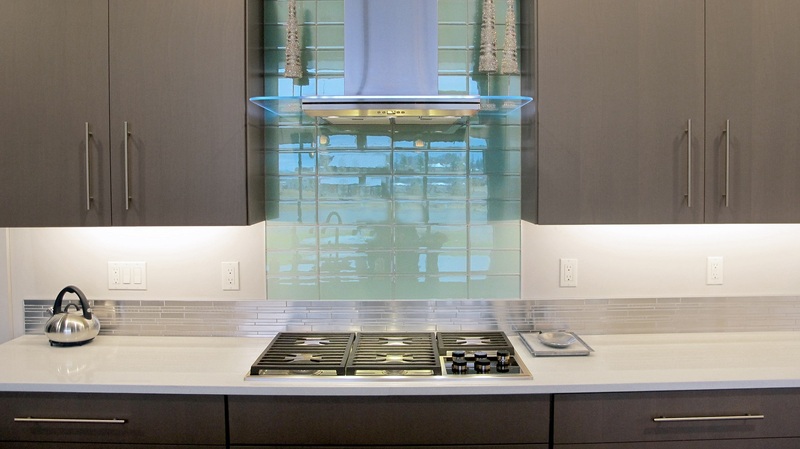 These glass tiles are part of the Crystile series in color, Soft Mint. 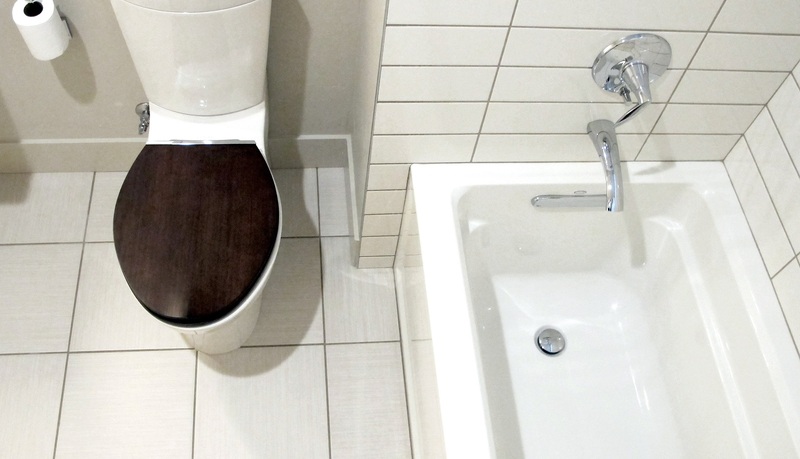 Light, bright and white was the theme of the this modern guest bathroom. 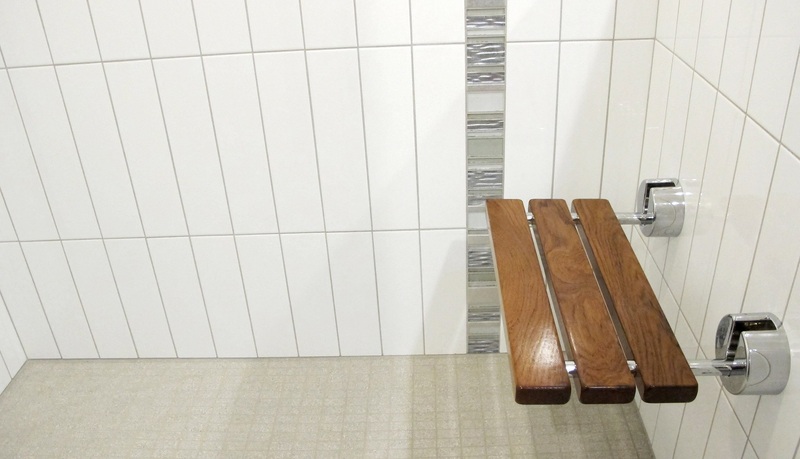 Composed of Color & Dimensions 4×16 Arctic White subway tile in a horizontal straight stack pattern and Olympia Tile’s New Reeds 13×13 field tile in Silver. 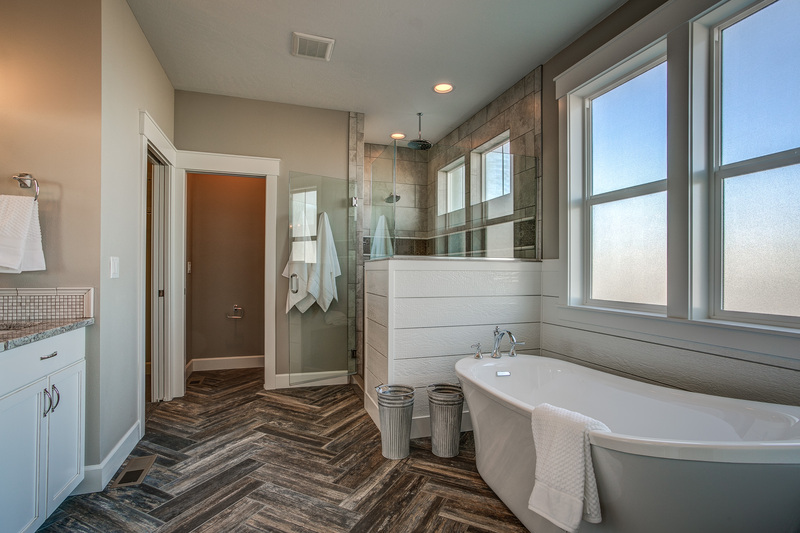 Beautifully adorned by Kohler plumbing fixtures and faucets, this bathroom simply sparkles. An extra storage cabinet makes the perfect area to set up a coffee bar. Formica laminated countertops in Ashen Ribbonwood add a sleek modern visual that instantly turns this built-in into a piece of furniture. 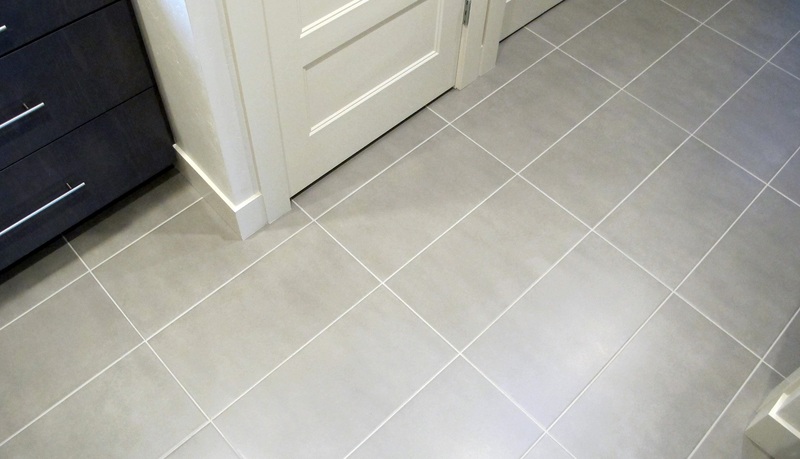 The laundry room floor incorporates Emser Tile’s Stadium series. A large format 12×24 in color – Foundation. 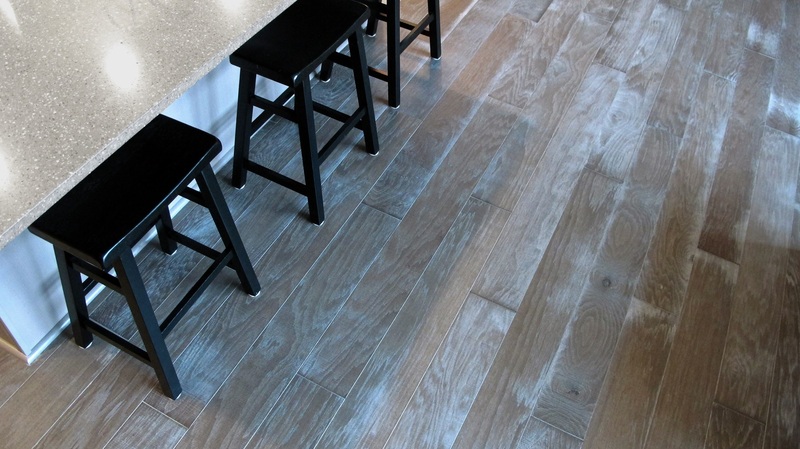 Hardwood flooring sprawls throughout the living space of soft grey tones and wire brush techniques. Manufactured by Anderson Hardwood, Antique Walk 6″ Garden Gate engineered hardwood is the perfect compliment to sleek contemporary finishes but still offers a warm, comfortable vibe. This product is also made in the U.S.A! 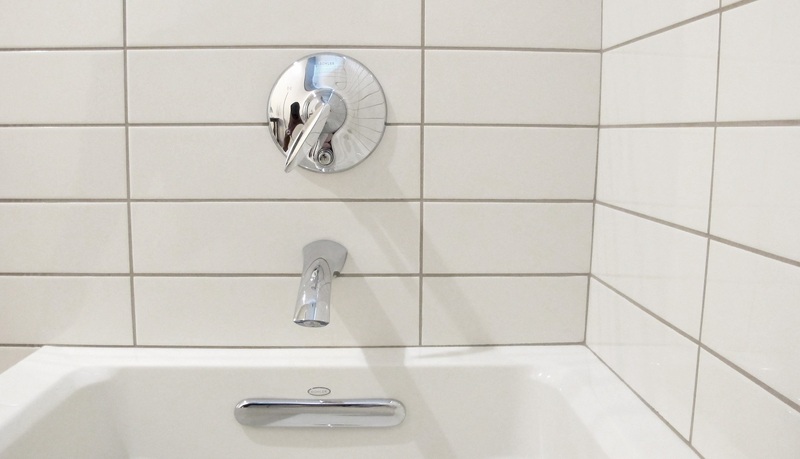 The master bathroom shower flows together with a bright white and grey color pallet. 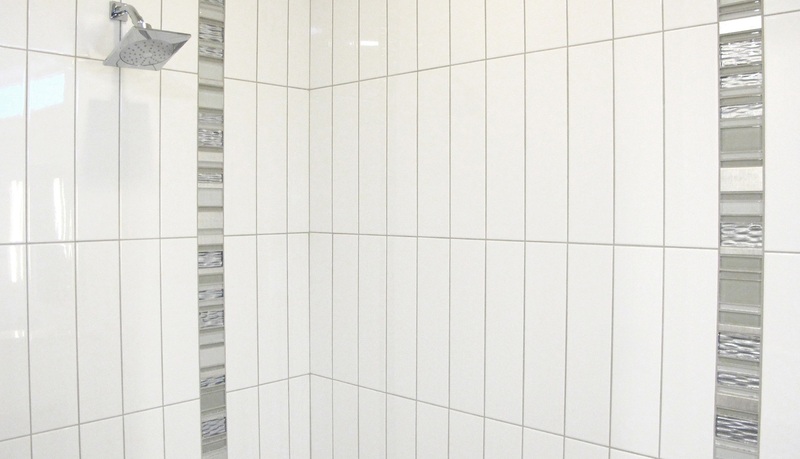 Designed with a simple layout of Emser 4×12 Vogue White subway tiles in a vertical straight stack and slightly darker grout joints to show off the pattern. 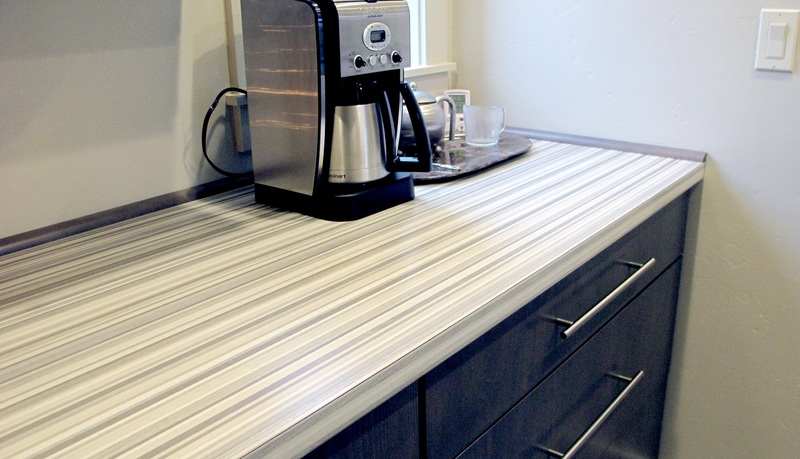 We even added a metallic glass decorative band in random stripes from floor to ceiling to give it some flair. 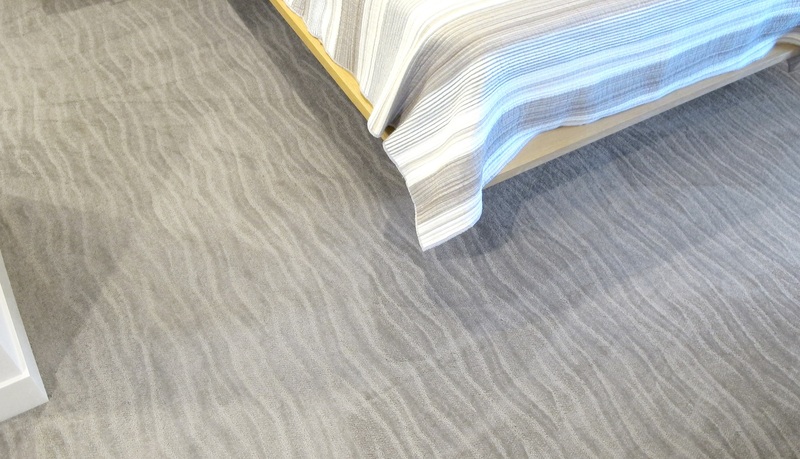 Tuftex Surfs Up, color – Simply Taupe.